Watch brand Casio continues to formal cooperation with a team of Red Bull Racing – the champion of the most prestigious racing events Formula One. 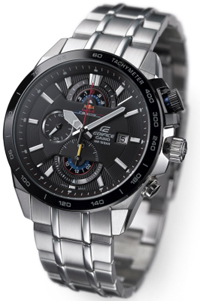 As part of long-term cooperation created another series of limited edition watches Edifice. Casio has announced its latest May 3 this year in Monaco. 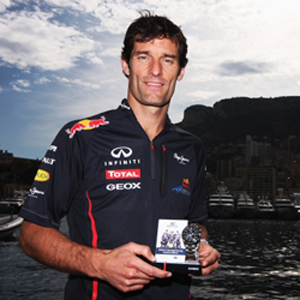 New model Edifice EFR-520RB with the original discs, which act as counters to zero, provided Red Bull Racing driver Mark Webber. In the design of clock used corporate colors racing car RB8. At the top of the dial is placed team logo. To watch photos attached riders and car RB8, which became a source of inspiration for a new model. Recall that the company supports the Casio team Red Bull Racing in 2009. This year it was officially announced on the extension of cooperation in the 2012-2013 season.